Plaster portrait relief of Edwin Denby showing him as a young man then as an older man. Text on the relief says "Edwin Denby 1870-1929". 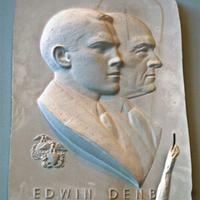 "Edwin Denby and Edwin Denby Jr. 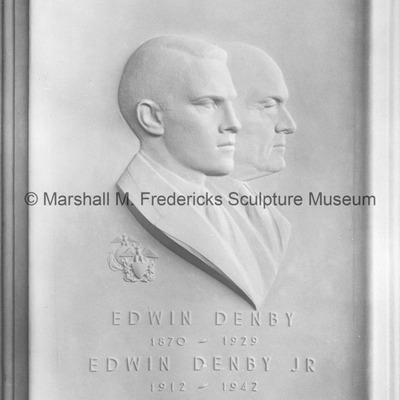 Portrait Plaque"
Plaster model for "Edwin Denby and Edwin Denby Jr. Portrait Plaque". The bronze plaque hangs in Denby Technical Preparatory High School in Detroit, Michigan.